Crime and romance are two genres that work exceptionally well together, as the thrill of crime fuels the passion of romance when outlaws fall for each other. 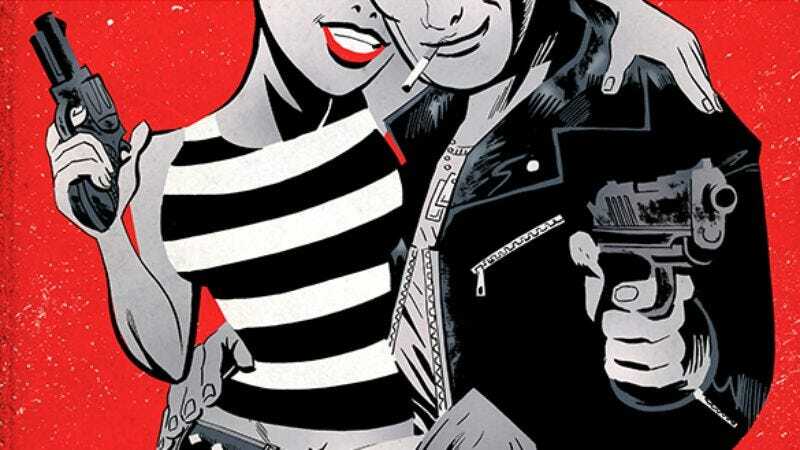 Writer Frank J. Barbiere and artist Victor Santos explore this dynamic in their new Image Comics series Violent Love, telling the story of two bank robbers who become lovers during a crime spree in the American Southwest. Readers can discover more about Daisy, Rock, and their dangerous romance when Violent Love #1 hits stands on November 9. But in the meantime, Image has provided The A.V. Club with the official solicitation information and a preview to whet readers’ appetites.